A Chinese consortium with plans for a multi billion dollar city catering for 80,000 people is rumoured to be leading the race to develop a Government site in Melbourne's west. According to the Australian Financial Review, the consortium has been "tapped as the preferred developer" for a 400 hectare site in East Werribee that is being sold by the Andrews Government. 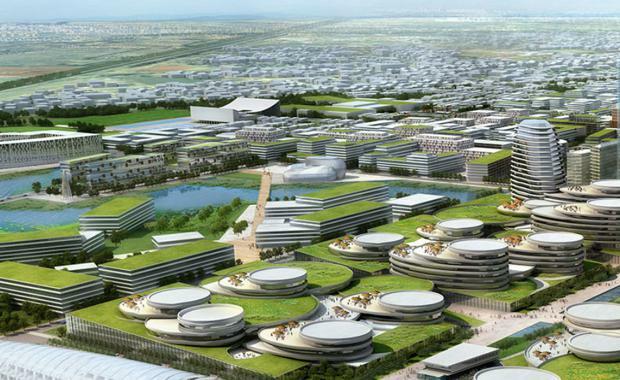 The proposed Australian Education City would feature higher education facilities, residential and office buildings. The centre of the city would feature high rise towers up to 50 storeys high. Local funds management and property group Investors Direct Financial Group has gathered a group of as yet un-named Chinese investors - institutional and corporate - to help back the project. The consortium was one of five bidders for the East Werribee site. The consortium estimates that Australian Education City would generate up to 100,000 jobs.